Armstrong Nautical Products has teamed with Yanmar America Corp. to produce an enclosed transom bracket that houses a diesel sterndrive. The Armstrong Yanmar Marine bracket can be used to replace a boat’s current propulsion — outboard, sterndrive or conventional inboard — or can be installed on new boats, says Rusty Sedlack, vice president of Stuart, Fla.-based Armstrong. 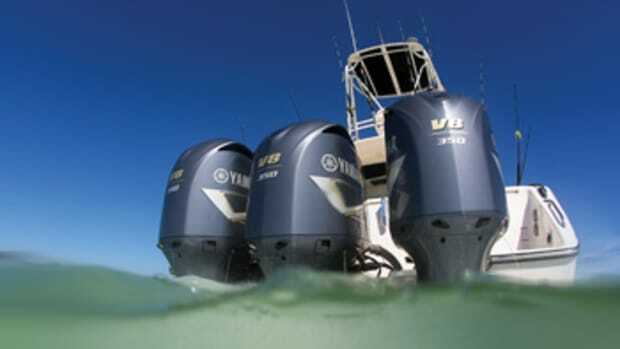 Bolted to the transom, it holds the entire propulsion package and is available with a variety of Yanmar diesel sterndrives from 188 to 370 hp. 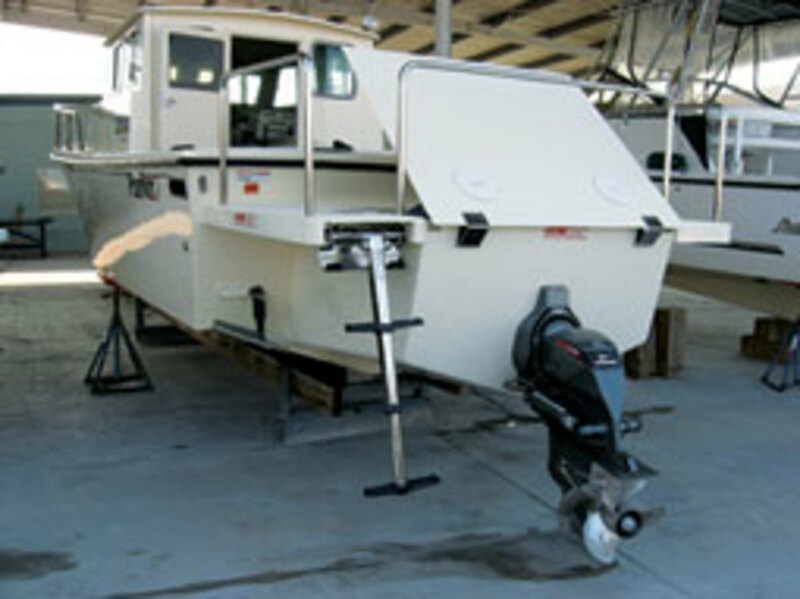 A Parker 2530 Extended Cabin is the first boat to be outfitted with the bracket. A 260-hp Yanmar 6BY2-260 engine linked to a Yanmar ZT350 hydraulic clutch sterndrive powers the pilothouse boat. “As it turns out, the Yanmar BY series of engines that we’ve designed the bracket around is very similar in weight to the larger outboards,” Sedlack says. Known for its outboard brackets, Armstrong fabricates the AYM sterndrive bracket with marine-grade aluminum. 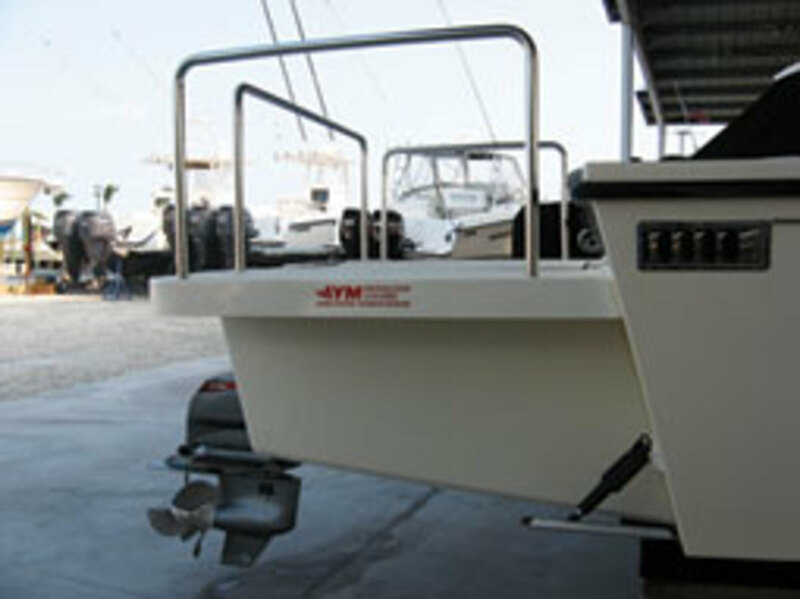 The bracket adds buoyancy and creates an unobstructed transom boarding platform, says Tom Watson, marine division manager of Adairsville, Ga.-based Yanmar America. 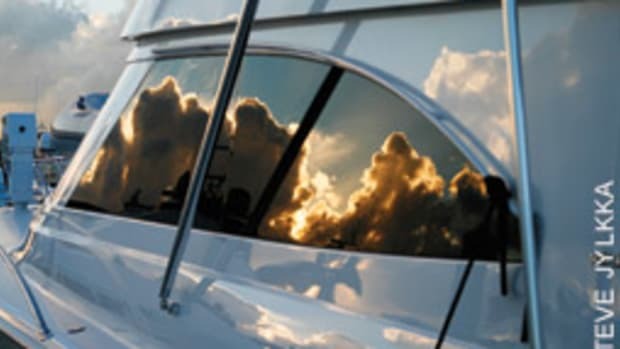 “There are certain [boat owners] who will light up to this — maybe those who run their boats or cruise a great deal,” Watson says. “It’s not going to be for the light-usage [boater]. 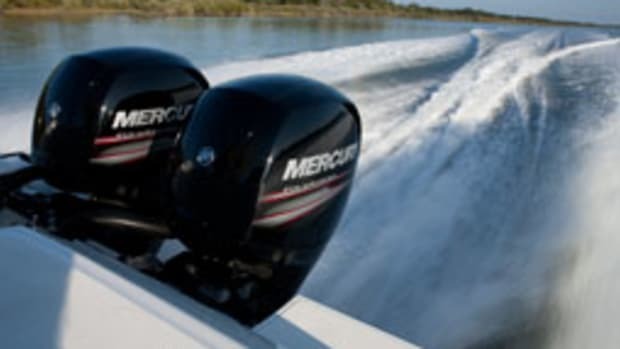 It’s going to be for fairly enthusiastic boaters.” Builders that have expressed interest are those that already use outboard brackets and want a diesel offering without having to invest in tooling, he says. No additional construction requirements are necessary for boats already using Armstrong’s outboard brackets, Sedlack says. The key ingredient: a solid transom in good condition with a minimum thickness of 2-1/2 inches, he says. “If these parameters are met, then anyone should be able to install the bracket and the entire unit is bolt-on,” Sedlack says. Performance numbers suggest that Parker has made a good choice with the AYM bracket. At 26.7 mph, the Yanmar burns 10.8 gallons an hour for 2.5 mpg, and it gets the same mileage at its top speed of 34 mph, according to Yanmar testing. 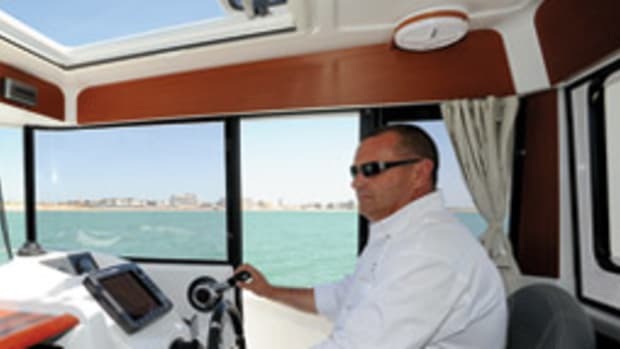 In comparison, a Parker 2530 Extended Cabin with twin Yamaha 150-hp 4-strokes burns 12.8 gph at 26.3 mph for 2.06 mpg, according to Yamaha testing. At a top speed of 39.9 mph, it gets 1.44 mpg. 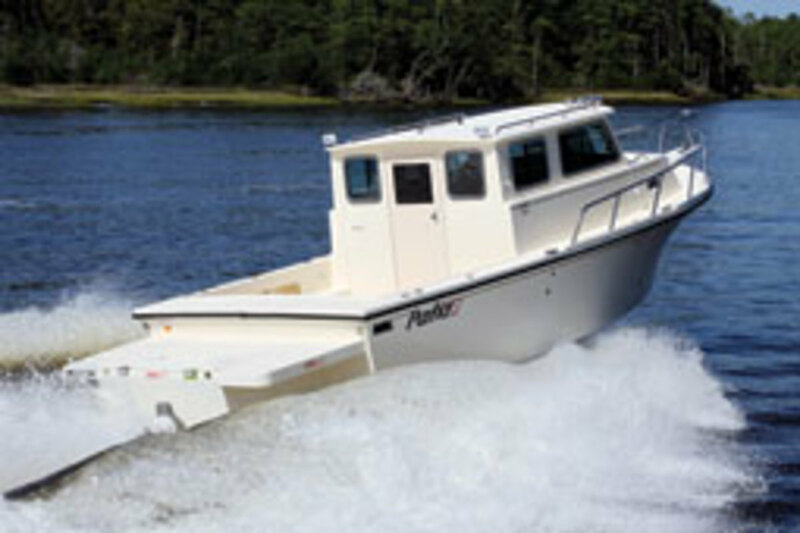 The Parker has a 173-gallon fuel capacity. At its 26.7 mph cruise speed, the AYM-bracketed Parker would have a range of 375 miles using 150 gallons (87 percent of its fuel); the outboard-powered boat would have a range of 315 miles at its sweet spot of 26.3 mph. Though the diesel boat has better range, diesel power is more expensive. The Parker with twin F150s is about $110,000, compared with $125,000 with the diesel setup, Parker says. But the diesel boat’s upfront cost will be worth it for some boaters, especially those who intend to keep the boat at least five years, he says. Parker says he was impressed with the engine’s low noise levels — the Yanmar is completely enclosed in the bracket — and its acceleration. “It was quiet and comfortable coming out of the hole and got on plane quickly,” he says, adding that the company’s 28-footer is also a candidate for the sterndrive bracket. “It’s a heck of a package. On this boat, with its standard fuel placement, [production] was simply a matter of bolting the bracket to the transom. 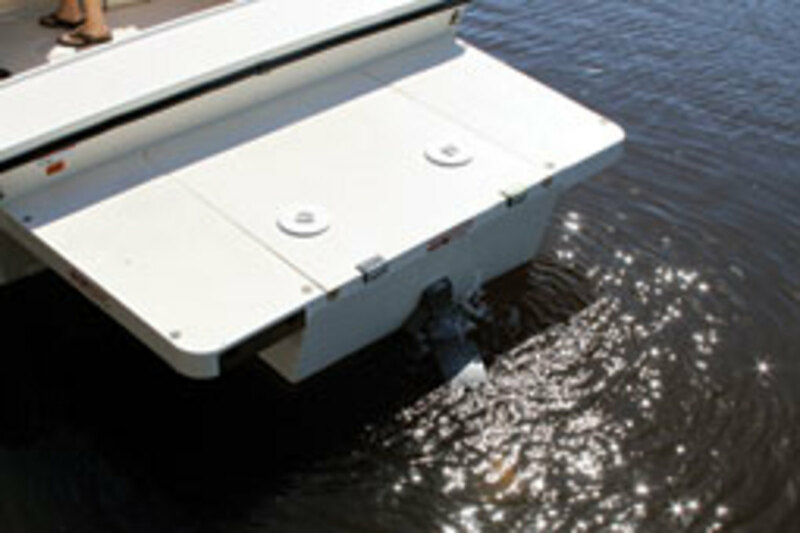 The weight distribution and the trim angle were perfect.” The bracket extends the running surface at displacement speeds, but not when the boat is on plane, he says. 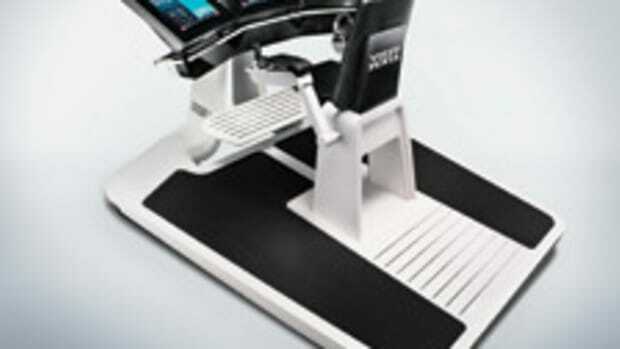 The combined weight of the sterndrive and bracket isn’t that much more than the twin-150 installation on the 2530. Yanmar estimates the weight of the bracket, engine and drive to be 1,400 pounds. Two Yamaha F150s weigh about 950 pounds, and the Armstrong bracket for them weighs 230 pounds for a total of 1,180 pounds. The AYM bracket was shown this fall at the International BoatBuilders’ Exhibition & Conference, a marine industry trade show held in Louisville, Ky. Armstrong and Yanmar didn’t exhibit in late October at the Fort Lauderdale International Boat Show, and Sedlack says the companies are unsure whether they will show the bracket Feb. 17-21 at the Miami International Boat Show. The companies are looking to Europe as a potential market. Yanmar officials there are impressed with the product and think it would do well. And Europe, in general, is more inclined toward diesel power than the United States, Sedlack says. The price of the bracket-engine arrangement will vary according to the power chosen and the ultimate shape of the bracket required, Sedlack says. 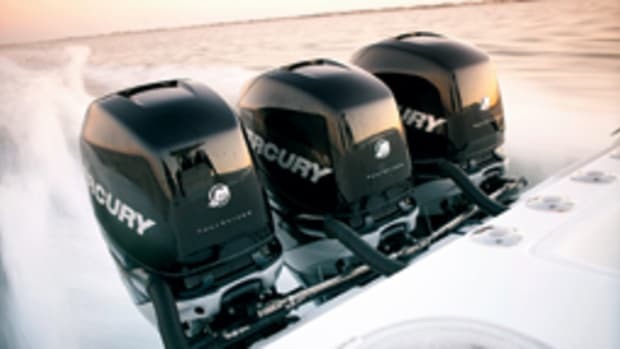 “Generally, the price is slightly higher than outboards of equal power with a bracket,” Sedlack says. For the Parker 2530, the propulsion package consisting of the 260-hp Yanmar, ZT350 sterndrive and AYM bracket is about $46,000, according to Yanmar. Armstrong, which also offers ladders and deck plates, has been fabricating outboard brackets for 20 years, Sedlack says. The brackets often are used for repowering projects. The owners of several renovated boats featured in Soundings have chosen Armstrong brackets for repowering, including a 21-foot 1977 Mako in the December issue. 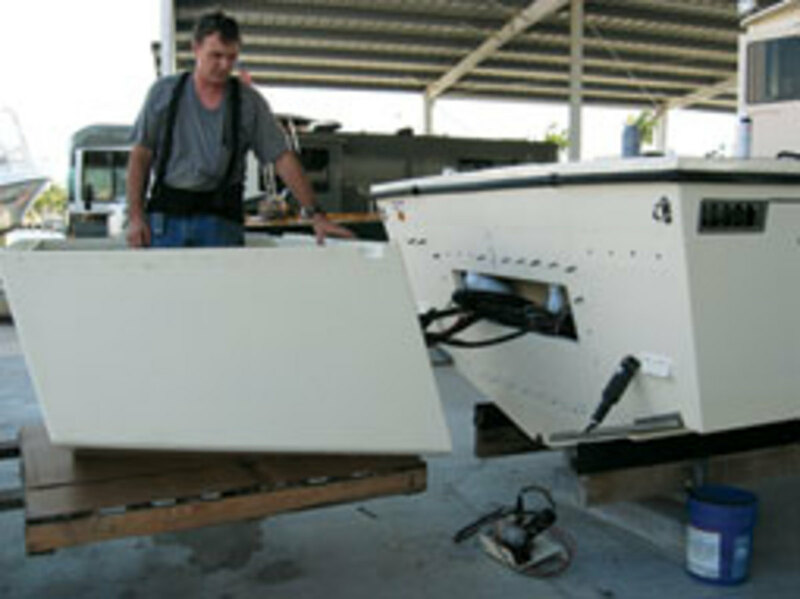 Parker has been building boats since the late 1960s. 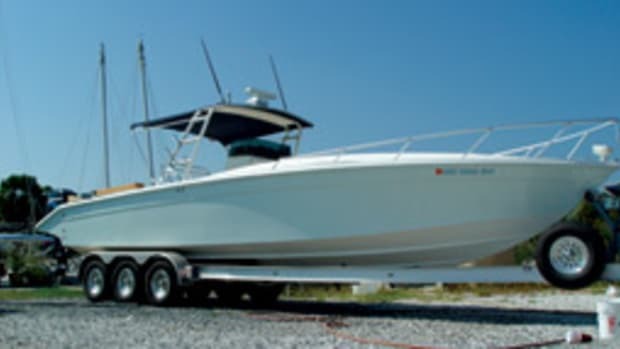 Today it builds center console, walkaround and pilothouse boats from 18 to 34 feet. Yanmar’s U.S. subsidiary was established in 1981, offering diesels from 150 to 900 hp. Yanmar America recently brought to market a sterndrive package with joystick capability. The joystick is part of Yanmar’s new Vessel Control System, which will be linked to the new 8LV diesel, a 4.5-liter twin turbocharged V-8 available in 320- or 370-hp configurations. Contacts: Yanmar America, (770) 877-9894, www.yanmarmarine.com; Armstrong Nautical Products, (772) 286-7204, www.armstrongnautical.com; Parker Marine Enterprises, (252) 728-5621, www.parkerboats.net.